August 1, 2018 at 12:05a.m. I’ve been writing the Drinks column now for almost five years, and I’ve really enjoyed sharing my wine selections and adventures with everyone in the Mahoning Valley. I’m equally excited for the opportunity to begin exploring spirits and cocktails with my readers. In 2015, I had recently passed the sommelier exam and I knew I was on my way to owning a restaurant. My wine and beer knowledge were up to par, but I needed to increase my understanding of spirits and cocktails to be ready when the time came, so I took the most logical step I could come up with: I took a trip to New Orleans. New Orleans is the cocktail epicenter of America, and some would argue it is the greatest cocktail city in the world. My experience there was highly educational and a whole lot of fun. I learned more about mixology and crafting cocktails during that week than I could learn in a year of studying. I returned from the Big Easy convinced that craft cocktails would be a major part of whatever establishment I owned. As it turned out, I ended up purchasing Barrel33 in Howland, which established itself as one of our Valley’s premier cocktail and spirits destinations under the previous ownership. It’s incredible how much I’ve learned so far, but it is even more exciting to realize that there is so much more out there to learn and taste. It’s an ongoing process that will continue to evolve over many years. One thing I’ve learned already is the people crafting spirits are doing so with the same attention to detail and drive to be innovative that is a part of my favorite wineries and breweries. Opihr Oriental Spiced Gin: Crafted with exotic, hand-picked botanicals and spices from the ancient Orient Spice Route, this gin delivers bursts of citrus with rich earthy aromas with notes of cumin and cardamom and a hint of grapefruit on the finish. Bak’s Bison Grass Vodka: a triple-distilled potato vodka with natural flavors, charcoal filtered and emblematic of true Polish vodka. Centuries ago, Polish nobility invented Zubrowka, a vodka with the rare and vital bison grass, said to provide power, vitality and stamina. 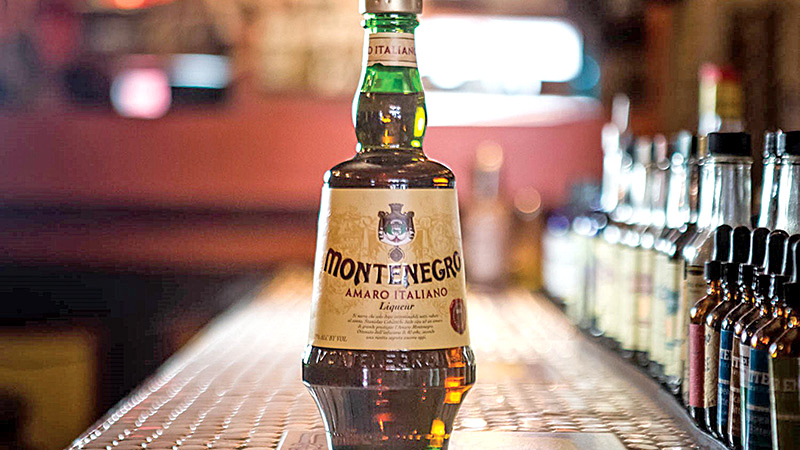 Montenegro Amaro Italiano: A unique blend of 40 herbs and spices makes this an incredibly versatile liquor with a distinctly vibrant kick. Flavors of fresh orange peel, coriander, red cherry and tea. I hope these ideas inspire your own exploration of the wonderful world of spirits and cocktails. Use this recipes as a launching point and see if you can come up with some concoctions of your own. January 23, 2019 12:05 a.m.